• Five well-known Quad Cities-area gunmakers are thriving despite anti-gun legislation and sentiment from nearby Chicago. But the road has not always been easy. • Ignorance equals bad press for guns. 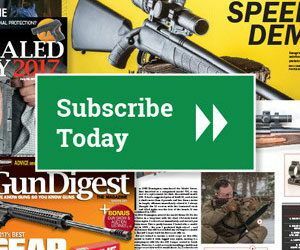 • Shotgun Q&A: Which companies were the top double-gun manufacturers? • Smallbore NRA regional competitions will have a new look in 2008. • Federal’s Trophy Bonded bullets have become even better performers. • What’s in — and not in — Walt’s gun safe? Find out, as he reveals his favorite rifles. • When fixing dove-tailed “fixed” sights, it’s Brownell’s to the rescue.